Steam trains down the middle of the road - an almost daily occurrence on the Welsh Highland Railway! Ex. South African Railways NG/G16 no. 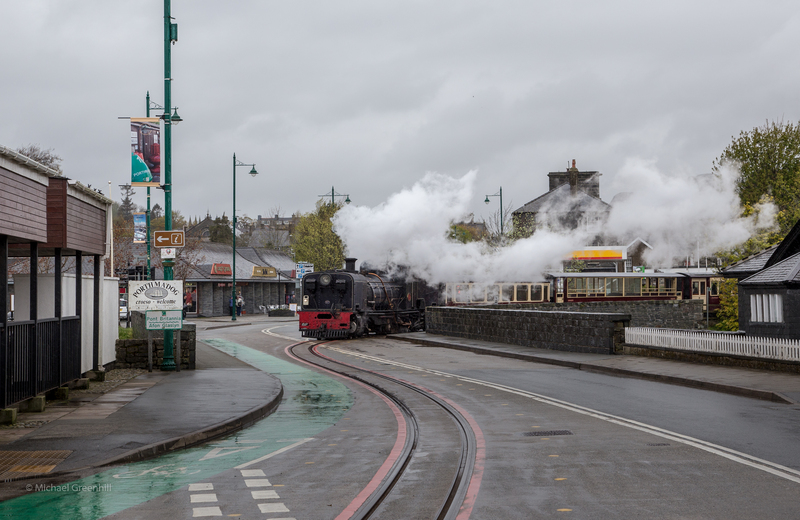 87 crosses the Afon Glaslyn on Pont Britannia (Britannia Bridge) in Porthmadog, North Wales, seconds away from its terminus at the Welsh Highland Railway/Ffestiniog Railway junction station of Porthmadog Harbour.